First and foremost, I would personally like to thank you for your kindness and generosity. Without the Palmers foundation, my lifelong dream of attending a University would not have been possible. I do not think that words would ever be able to express how thankful I am to you. 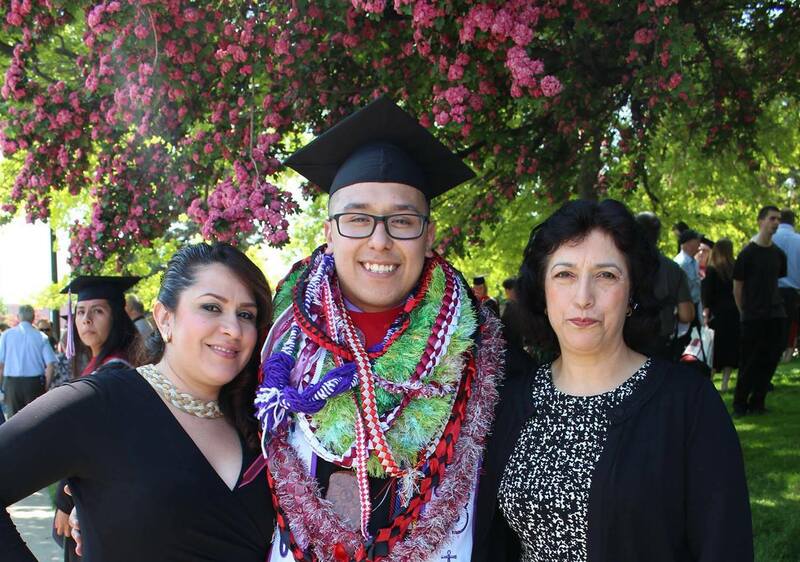 Due to my family’s economic status and the fact that I am the first in my family to go to college, your help and support have been a huge blessing to me. Palmers has not only changed my life but has also impacted those that surround me. During my years at Lincoln High School, I was introduced to Dr. Steve Schain. Little I knew that we were about to form one of the greatest friendships in my life. When I first met Dr. Schain I was skeptical on how he was going to be able to help me to get to college due to my immigration status, but that did not matter at all. Together with the Palmers foundation, he has helped me to discover a personal truth, that I have no limitations other than those I choose to impose upon myself. 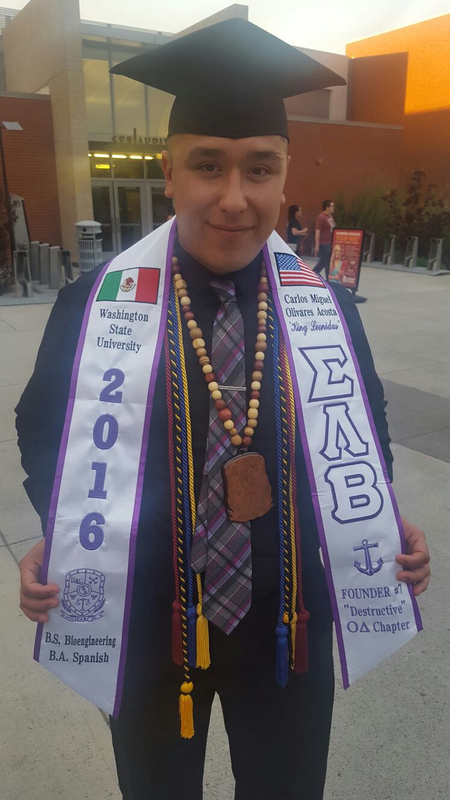 I attended Washington State University where I achieved my B.S Bioengineering, B.A Foreign Languages and Arts, and a minor in Math. After graduating from WSU this past June I have decided to not only use education as a tool to prepare me for a vocation, but also to help me become a self-sufficient individual who is fully prepared for life. With that said, is necessary to mention that, no one is exempt from turmoil during their lives, and I can honestly say that I am thankful for the adversities and challenges which have crossed my path because they have strengthened my character and brought forth certain virtues I might otherwise never have known. There are various personal issues with which I have struggled and I have no doubt as to where their foundations lie. One of the main ones in my case is when my parents divorced when I was ten, I did not grow up with a secure sense of home. I was juggled around between countries and different family members, each taking part in raising me with their own set of standards and values. I had different customs at each home and had to learn how to be "politically correct" according to who I was with. One of the greatest challenges I have faced was growing up multi-ethnic in a bilingual and multi-cultural environment. Even though the society in which I live insists on categorizing me into one racial category, I consider myself to be multi-ethnic. Some of the conflicts that I dealt with while growing up concerned issues surrounding physical appearance, self-esteem, and questions such as "where do I fit in?" and "to whom do I belong?" Fortunately, since I became part of the Palmers family I have learned that being part of more than one ethnic group is an advantage, not a detriment, and I am proud to claim and take part in my diverse community. Everyone and everything in my past has been my mentor, and I feel that my history has inevitably led me to my major field of study, Biomedical Engineering which main focus is the implementation of a variety of engineering principles and design concepts to medicine and biology for healthcare purposes. With that being said my future goals are to work with doctors and laboratories to help humanity to become a better place for our future generations through the implementation of sciences and engineering in our world and overall I would love to have the opportunity to be able to pass along the information which I have learned through my seven years at Washington State University, by becoming a mentor and an ally for the Palmers foundation and show our future generations that no one person other than oneself can keep one from achieving one's goals and that everyone has the potential to share with the world their unique talents, gifts, and abilities. While one may find motivation in one's hopes for the future, one must not devalue the steps one takes to get there, because it is through one's past joys and hardships that one comes to be who one is in the future. Lastly, I would like to share a proverb that applies to my life after being part of such grateful and passionate foundation. With that being said, I would like to thank you because the Palmers foundation have transformed my tears of sorrow into tears of joy. My family and I will forever be grateful to you.